Tim Haselden has joined the Mendip Hills AONB Unit to run projects that conserve and enhance this nationally protected landscape. As Project Development Officer Tim has responsibility for raising funds and delivering projects in partnership with others that bring the AONB management plan to life. Tim will be based with the rest of the AONB Unit at Charterhouse Centre. Tim’s focus will be on developing the volunteering opportunities for the community to get involved in looking after the Mendip Hills they love. 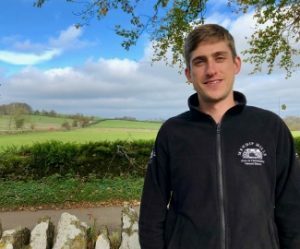 His previous job with the Warwickshire Wildlife Trust was to run a £2.5million restoration of a large wetland landscape in the Tame Valley with the involvement of lots volunteers which has given him great experience for this new role. « An Outstanding Week in September!